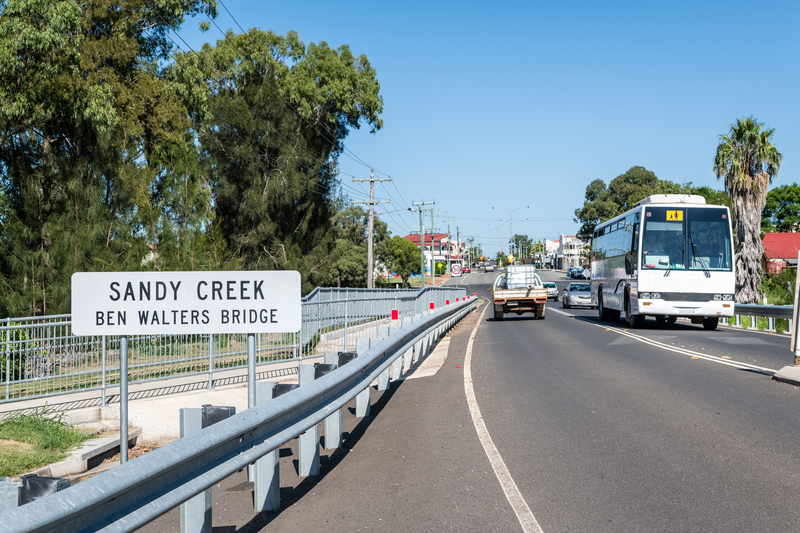 The Bum Bum Creek Bridge Project included the replacement of an existing timber bridge with a widened three-span prestressed concrete bridge on an improved horizontal alignment, as well as approaching road works. 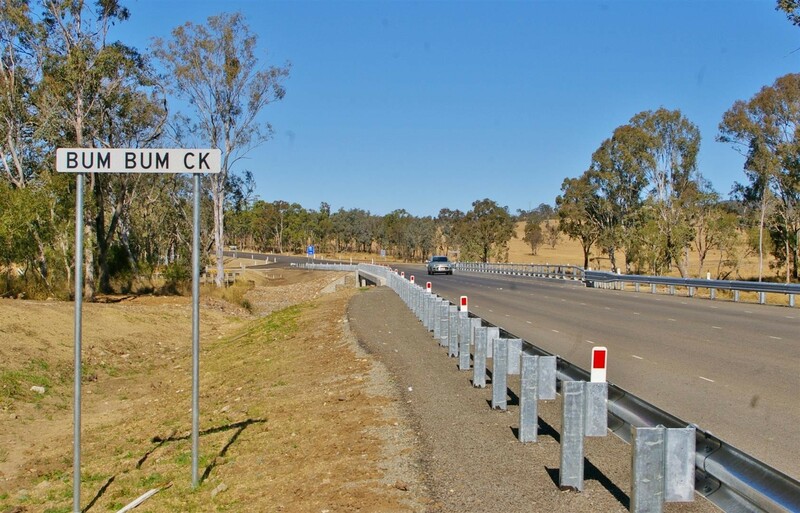 Located south of Yarraman on the New England Highway, the project had approximately 1,300m of approach road works including the construction of a large embankment to create the improved horizontal alignment. 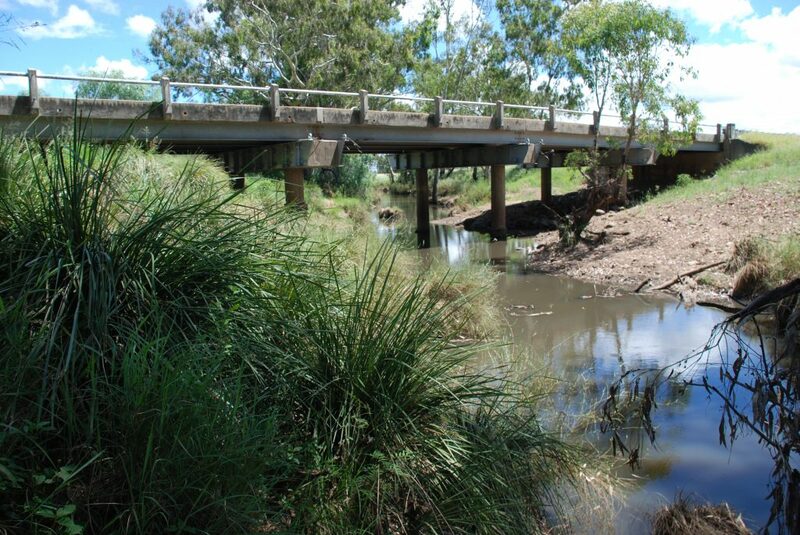 The bridge construction utilised a combination of bored and driven piles with cast insitu headstocks and abutments for the substructure. Prestressed concrete deck units and cast insitu kerbs were utilised for the superstructure. 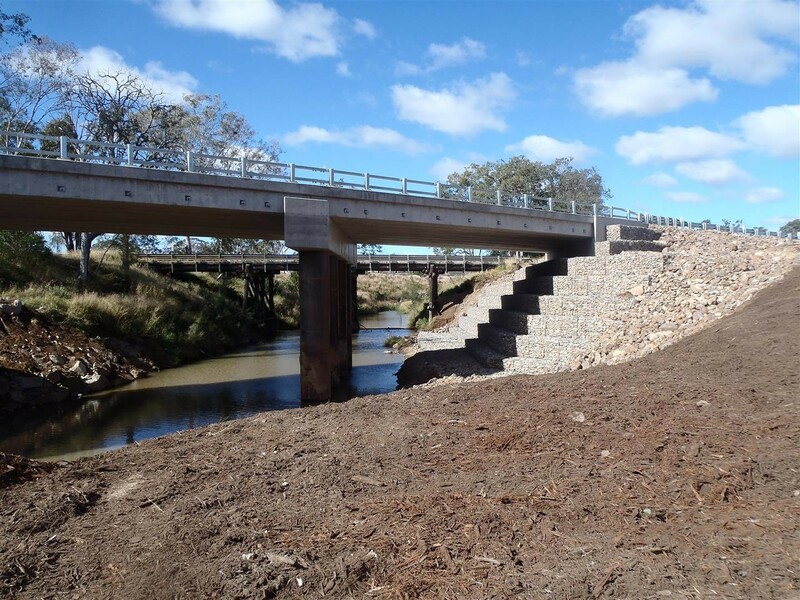 Bridge abutment protection was provided by concrete spill-through protection works and rock-filled gabion baskets. 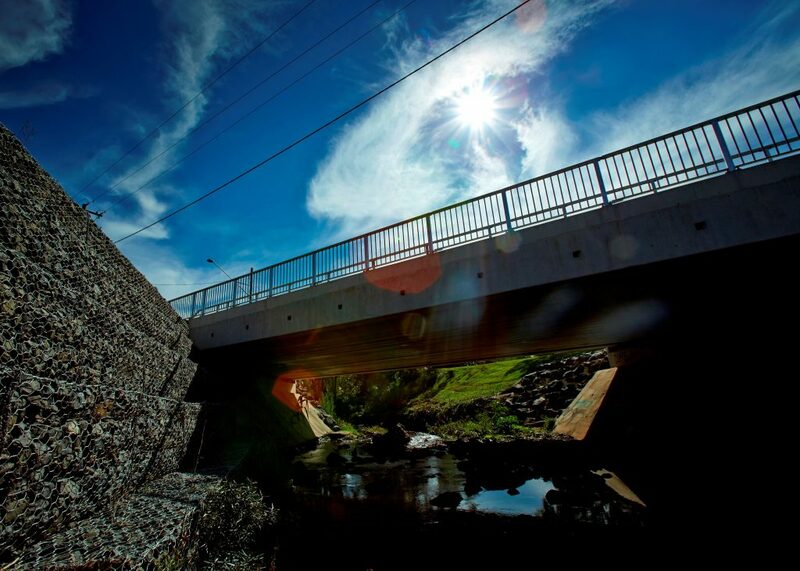 The new embankment was created from balance of cut-and-fill with pavement materials placed upon the embankment.